(AdWeek.com) – For years, brands have salivated over the prospect of fusing the best aspects of digital marketing with the tried-and-true canvas of linear television. Unfortunately, a lack of addressable inventory and a paucity of measurement tools have prevented advertisers from executing campaigns at scale. Today, the addressable TV market, while growing, makes up a small fraction of the approximate $70 billion that brands spend annually on TV advertising. On the bright side, all of this is beginning to change. In 2017, eMarketer estimates that addressable TV spending grew by more than 65 percent, topping $1 billion for the first time. Meanwhile, there are now more than 74 million households with the requisite technology to be targeted on a one-to-one level. But what’s really going to kick the addressable revolution into overdrive is the rise of ACR (automated content recognition) data. If you’re unfamiliar, ACR is a technology used to automatically detect and index content that is playing on television in real-time. As a result, brands are able to use this information to determine when a given consumer sees their ad. As ACR data becomes more widespread, the sky’s the limit for addressable TV. At the beginning of March, Forrester Research analyst Jim Nail published a survey indicating that addressable TV had reached what he described as an “inflection point.” The report found that 15 percent of the surveyed Association of National Advertisers members are regularly using addressable in their TV plans, with an additional 35 percent reporting that they have experimented, but need to learn more. 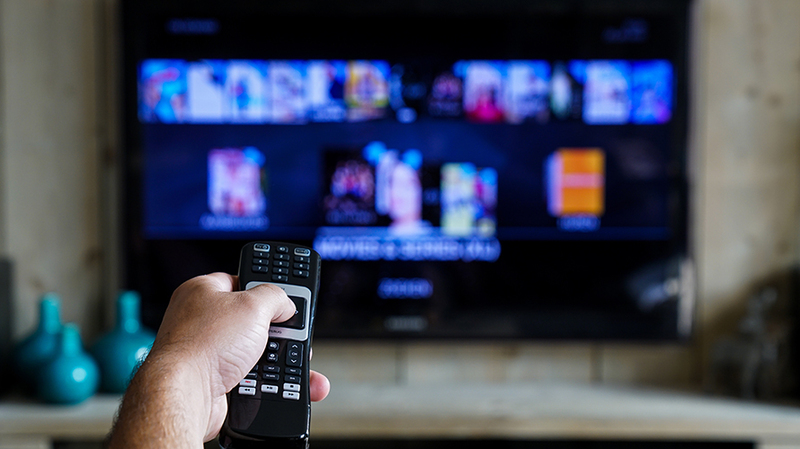 Of course, addressable TV is about to get even “sexier.” In ACR data, brands have the tools they need to execute true measurement and attribution. Whereas an addressable ad buy tells brands who they’re paying to reach, ACR data tells them whether those folks actually viewed their ad. Previously, the multiple system operators (MSOs) or multichannel video programming distributors (MVPDs) which ran the addressable campaign were the only source of activation data. ACR data provides the first independent verifiable source. Moreover, by connecting ACR exposure data to offline shopping data sets, advertisers can close the loop on whether their targeted addressable campaign actually delivered results. For instance, a insurance brand might use ACR data to compare the policy binds from people who saw its linear TV ad against a those from an addressable TV campaign. They can then understand cost per new policy sold across both campaigns and identify segments that react to one over the others for future investments. ACR data also provides cost efficiency for addressable ads, and MSOs and MVPDs can leverage the ad exposure data at device level to fine-tune the targeting of addressable ads by eliminating segments that are already getting a higher frequency on linear and adding segments that are low or zero frequency on linear for specific brands, thus eliminating waste. All signs point to addressable TV growing its market share with each passing year. In fact, eMarketer predicts that U.S. addressable spend will increase by nearly 80 percent in 2018 alone. And with ACR data providing the closed-loop attribution our industry has long sought, brands can finally spend with full confidence that they’re really getting their money’s worth. For advertisers, the time is now to begin investing in this exciting, emerging medium. When all of your competitors are putting their money into high-performing, precisely targeted television campaigns, you can’t afford to be left behind. Written by: Ashish Chordia, founder & CEO of Alphonso.